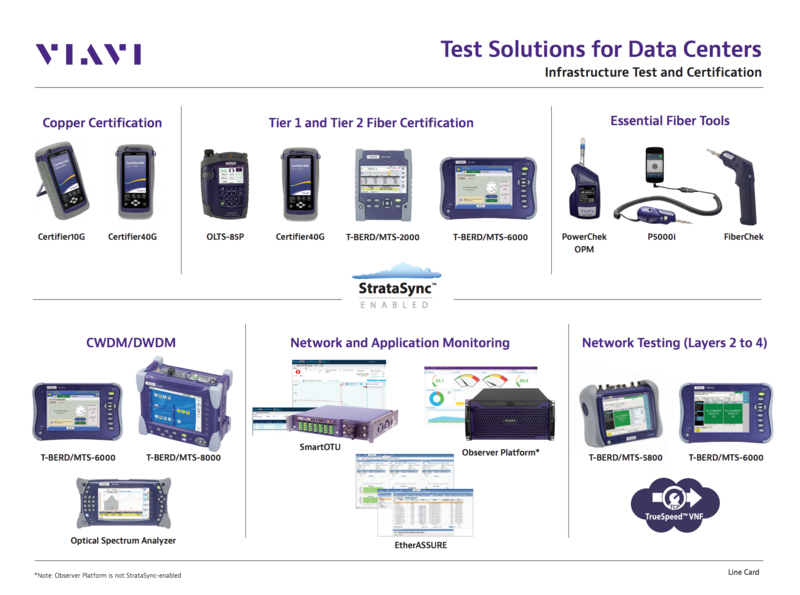 VIAVI (formerly JDSU) is a global leader in network test and measurement and helps deploy, maintain and optimize the most complex and powerful networks. From 1G to 5G, from the core to the network edge, our end-to-end solutions provide unprecedented visibility and analytics. This intelligence ensures that end users enjoy the highest possible quality of experience and application performance. VIAVI Solutions enables communication that helps make our lives rich and productive - networks that connect people, entertain and enhance our security. Find out why you are Better with VIAVI. In today's ultra-competitive landscape, there is no margin for error in Enterprise networks. With zero tolerance for faulty networks, even a negligible amount of network downtime can have a signficant impact on the bottom line. Enterprise technicians are challenged to keep up with the demands of these evolving infrastructures by learning the newest test methods, supporting industry standards and operating next-generation tools and instruments. 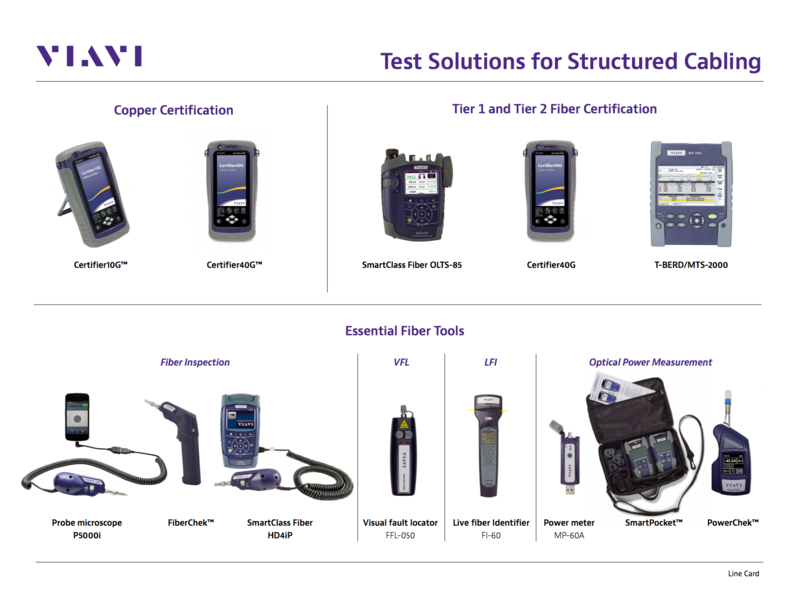 VIAVI test and certification tools have been designed, developed and tuned to deliver the performance your network demands. With technology leadership, faster technician workflows and the best overall value - it's easy to be Better with VIAVI. 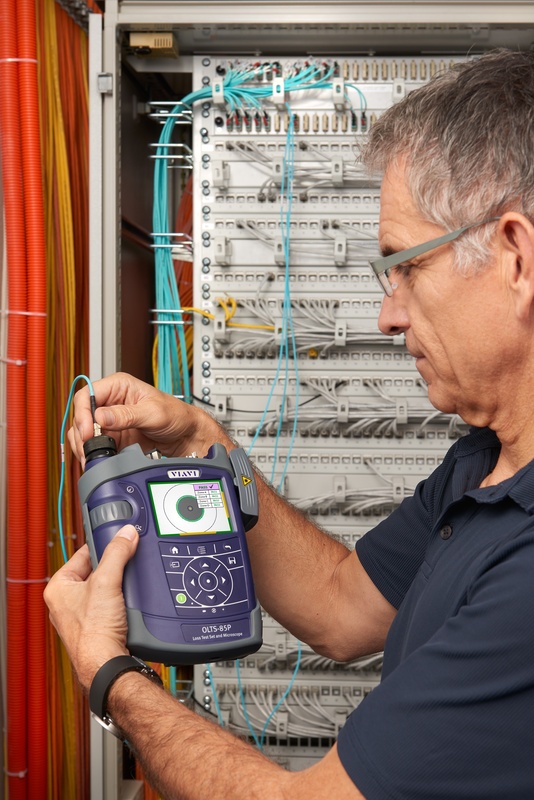 The FiberChek probe builds on industry-leading VIAVI expertise in fiber inspection to deliver an all-in-one handheld for technicians at every skill level. Meeting all fiber inspection needs with built-in image viewing, auto-focus, pass/fail analysis and result storage and recall, the FiberChek probe completely automates inspection workflows to ensure fast and accurate performance. Used alone or connected to other devices (WiFi, Bluetooth, USB), the FiberChek probe is the essential fiber tool for every technician. Data consumption has exploded in the past few years, and enterprise network owners are scrambling to meet the demanding requirements of 40 G and beyond to serve their buildings, data centers and campuses. New technologies are driving change in every aspect of enterprise networks - new industry standards, new topologies, new types of connectivity, new test methods and certainly new challenges for designers and technicians. 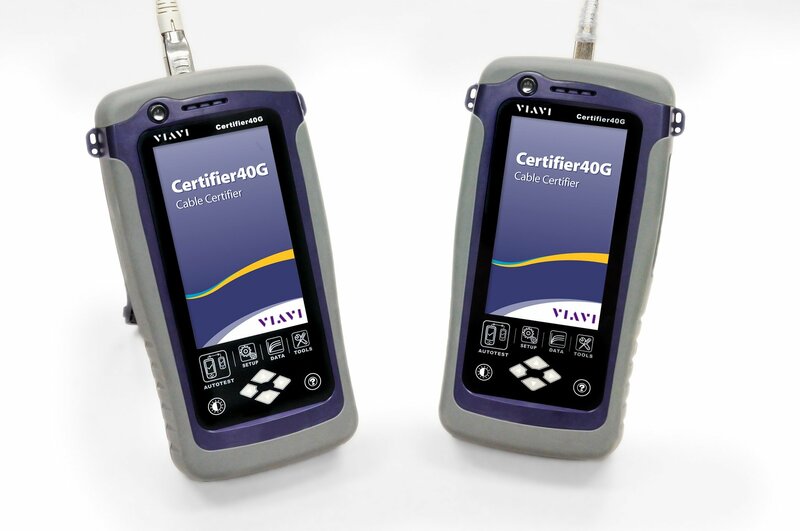 The VIAVI Solutions Certifier40G equips technicians with all the capabilities they need to certify both copper and fiber networks quickly, completely and correctly for all current and future cabling standards for the new enterprise. Costs, workflow, quality, network performance and customer experience are critical for the success of today's fiber optic networks. Selecting the right test tools has become key toward meeting these needs. 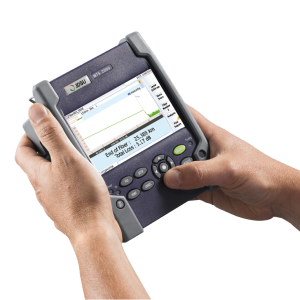 The VIAVI Solutions T-BERD/MTS-2000 is a handheld multi-test platform that provides field technicians with a single handheld unit to install, turn-up and maintain these networks to the highest standards. The new Enterprise-SLM, built on the T-BERD platform, offers a fast and easy-to-use interface ideally suited for Advanced/Tier 2 Fiber Certification for enterprise and data center environments. Click here to learn more. 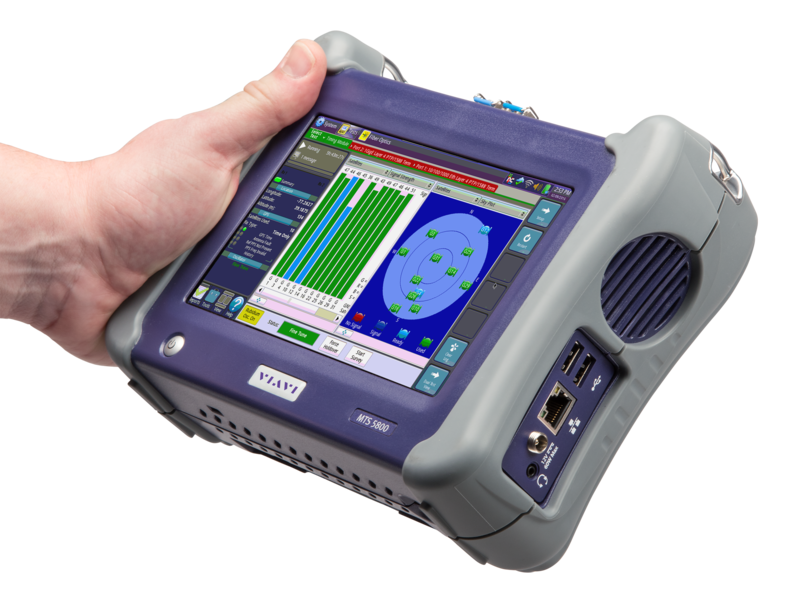 VIAVI Solution's SmartClass Fiber OLTS-85 and -85P allow your technicians to work fiber smart by integrating industry leading fiber inspection and testing for an efficient, easy-to-use solution that promotes best practices for handling fiber. Without the right tools, comparing fiber connectors to a standard or specification is difficult and time consuming. Eliminate subjective guesswork by automating fiber inspection and Tier 1 loss measurements with immediate pass/fail results. Store captured test results, images and user information from both local and remote units directly to the local device. Follow best practices with built-in features that incrementally step you through a proper test workflow. Optimize your workflow efficiency and make it easier to do things right - the first time - with the OLTS-85 and 85P. Get the job done right - the first time, and on time - Get fiber smart with the OLTS-85P. The T-BERD®/MTS-5800 is the all-in-one solution for testing every interface in the data center. It is the only tool that data center technicians need to guarantee that the network is configured properly and providing high quality service to their customers, putting you on par with service provider techs to quickly test circuits without waiting for a dispatch. Contact your local Accu-Tech representative to learn more about VIAVI's solutions.